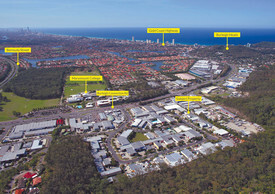 202 Commercial Real Estate & Properties in Burleigh Heads are listed in 6 categories. We have 147 Industrial Warehouses Sale & Lease , 35 OfficesSale & Lease , 13 Retail ShopsSale & Lease , 5 ShowroomsSale & Lease , 4 Development LandsSale & Lease and 2 Hotels and LeisureSale & Lease . Cottage Style Commercial Office $3,000 pcm + Outgoings + ..
218m2 Showrooom / Retail space Surrounded by national longstanding tenants Nestled in behind Treetops Shopping Plaza where over 40,000 people visit weekly Ample on site parking Rear roller door and loading dock Private amenities Kitchenette Competitive rates! This won't last long, Enquire today! Approx Disclaimer: Ray White has not independently checked any of the information we merely pass on. We make no comment on and give no warranty as to the accuracy of the information contained in this document which does not constitute all or any part of any offer or contract by the recipient. Prospective purchasers / lessees must rely on their own enquiries and should satisfy themselves as to the truth or accuracy of all information given by their own inspections, searches, inquiries, advices or as is otherwise necessary. No duty of care is assumed by Orchid Avenue Realty trading as Ray White Surfers Paradise Commercial divisions toward the recipient with regard to the use of this information and all information given is given without responsibility. 337m² Excellent exposure with approx. 35,000 cars passing daily Positioned adjacent to Kmart and other national brands Office Works, Petbarn, Fantastic Furniture and Stocklands Shopping Centre. Easy access to Reedy Creek Road, Gold Coast Highway M1 Pacific Motorway Expansive glass frontage showroom with warehouse accessed by high roller door On site parking Approximately Disclaimer: Ray White has not independently checked any of the information we merely pass on. We make no comment on and give no warranty as to the accuracy of the information contained in this document which does not constitute all or any part of any offer or contract by the recipient. Prospective purchasers / lessees must rely on their own enquiries and should satisfy themselves as to the truth or accuracy of all information given by their own inspections, searches, inquiries, advices or as is otherwise necessary. No duty of care is assumed by Orchid Avenue Realty trading as Ray White Surfers Paradise Commercial divisions toward the recipient with regard to the use of this information and all information given is given without responsibility. As exclusive agents we are pleased to present this freestanding industrial Head Quarters which features a large clear span warehouse, A grade executive office space and large walk in cool room in the heart of Burleigh Heads industrial precinct. 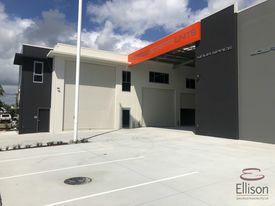 835m2 of Warehouse and office on a huge 1,941m2 parcel of land 160m2 walk in cool room 24 onsite carparks kitchen and amenities Air conditioning throughout the office spaces 2 x High clearance roller doors Extremely close to M1 and Gold Coast Highway Motivated Vendor, don't miss this opportunity! Approx Disclaimer: Ray White has not independently checked any of the information we merely pass on. We make no comment on and give no warranty as to the accuracy of the information contained in this document which does not constitute all or any part of any offer or contract by the recipient. Prospective purchasers / lessees must rely on their own enquiries and should satisfy themselves as to the truth or accuracy of all information given by their own inspections, searches, inquiries, advices or as is otherwise necessary. No duty of care is assumed by Orchid Avenue Realty trading as Ray White Surfers Paradise Commercial divisions toward the recipient with regard to the use of this information and all information given is given without responsibility. 133m2 + mezzanine currently fitout as a music studio High clearance roller door Sound proof rooms Can be made clear span warehouse Private amenities Ample on site parking Located in the middle of Burleigh's industrial precinct Motivated vendor, do not miss this opportunity Incentives on offer Approx Disclaimer: Ray White has not independently checked any of the information we merely pass on. We make no comment on and give no warranty as to the accuracy of the information contained in this document which does not constitute all or any part of any offer or contract by the recipient. Prospective purchasers / lessees must rely on their own enquiries and should satisfy themselves as to the truth or accuracy of all information given by their own inspections, searches, inquiries, advices or as is otherwise necessary. No duty of care is assumed by Orchid Avenue Realty trading as Ray White Surfers Paradise Commercial divisions toward the recipient with regard to the use of this information and all information given is given without responsibility. 135m2 clear span warehouse High access industrial roller door Own amenities On site cafe and parking Just off M1 Motorway This fantastic industrial complex currently has a vacancy that needs to be filled asap. The site has plenty of on site parking located at the front rear of the complex. The tenancy mix includes a thriving cafe, personal trainer, eXcite shade sails small business evolution. 76 Township drive is located minutes to the M1 Motorway, Stocklands shopping centre. Please contact the listing agent for more details by clicking on the link above. Approx Disclaimer: Ray White has not independently checked any of the information we merely pass on. We make no comment on and give no warranty as to the accuracy of the information contained in this document which does not constitute all or any part of any offer or contract by the recipient. Prospective purchasers / lessees must rely on their own enquiries and should satisfy themselves as to the truth or accuracy of all information given by their own inspections, searches, inquiries, advices or as is otherwise necessary. No duty of care is assumed by Orchid Avenue Realty trading as Ray White Surfers Paradise Commercial divisions toward the recipient with regard to the use of this information and all information given is given without responsibility. 107m2 shop with shop front facing directly towards West Street Currently fitted out with professional offices Excellent natural lighting Own toilet located inside the tenancy 2 exclusive use parking spots located at the rear of the tenancy Zoned centre which will allow for mixed use The current fit out can be removed or modified Located near a number of businesses like coffee shops, bars, restaurants, butcher shop, hair salon, petrol / service station Stocklands Shopping Centre A number of different food options in the area This retail shop is located in SE QLD hugely popular Burleigh Heads and is a short walk to the iconic Burleigh beach. Situated in one of the busiest business locations on the Gold Coast. This unit has an excellent shopfront facing west Street and currently has a professional fit out which consists of 7 executive offices or treatment rooms. Positioned in a high density residential and commercial precinct with high tourist activity and strong local support this is a fantastic opportunity for any business. Approx Disclaimer: Ray White has not independently checked any of the information we merely pass on. We make no comment on and give no warranty as to the accuracy of the information contained in this document which does not constitute all or any part of any offer or contract by the recipient. Prospective purchasers / lessees must rely on their own enquiries and should satisfy themselves as to the truth or accuracy of all information given by their own inspections, searches, inquiries, advices or as is otherwise necessary. No duty of care is assumed by Orchid Avenue Realty trading as Ray White Surfers Paradise Commercial divisions toward the recipient with regard to the use of this information and all information given is given without responsibility. 441sqm Brand New Factory (only 2 Left) $5,880 pcm + GST (Incl Ou..
Ray White Commercial GC South is pleased to offer for lease 1/49 Taree Street, Burleigh Heads. The property is located in the central Burleigh Heads industrial precinct on the corner of Taree Street and Hutchinson Street. Key features include: Floor area: 226m2 Excellent exposure Allocated car parking Minutes from the M1 Motorway Amenities and kitchenette Air conditioned approx Please contact Sam Riley on 0409 490 581 or Aaron Neylan on 0401 282 299 to discuss this opportunity or arrange an inspection.